Bulloch Hall (1839): The home of Theodore Roosevelt’s mother – Marth Bulloch. Theodore visited the home in 1905. Barrington Hall (1839): The home of Barrington King who founded Roswell along with his father Roswell King. The Gardens at Great Oaks (1842): Built by Reverend Nathaniel Pratt (founder of Roswell Presbyterian Church) as a wedding gift for his bride, Catherine King (daughter of Roswell King). Primrose Cottage (1839): Built for Roswell King’s daughter, Eliza King, this was the first permanent private home in Roswell. Mimosa Hall (1847): The City of Roswell just agreed to purchase this historic home at the end of Mimosa Blvd in June when it hit the market for the first time in 70 years. The sale is still pending. 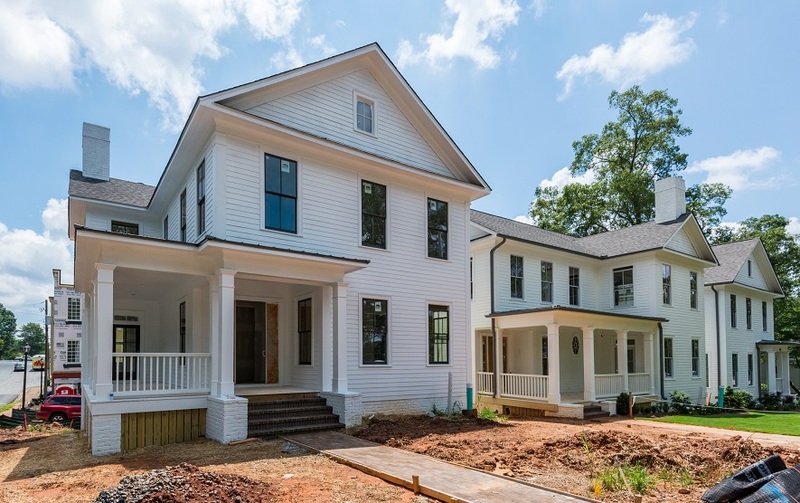 Additionally, the neighborhood allows for unparalleled access to a variety of community events hosted in the heart of Roswell. There is simply no other community in all of Atlanta with direct access to the history, community, and entertainment options that Mimosa provides. This truly is a once in a lifetime opportunity …with only 6 availabilities.